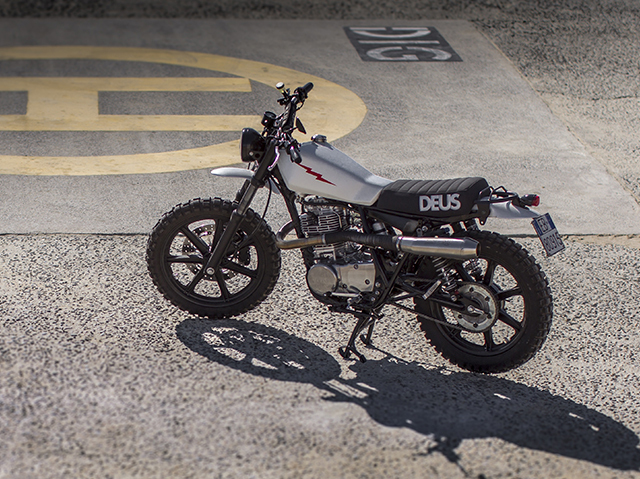 Deus Ex Machina are back and working more magic with their latest Yard Built creations for Yamaha. 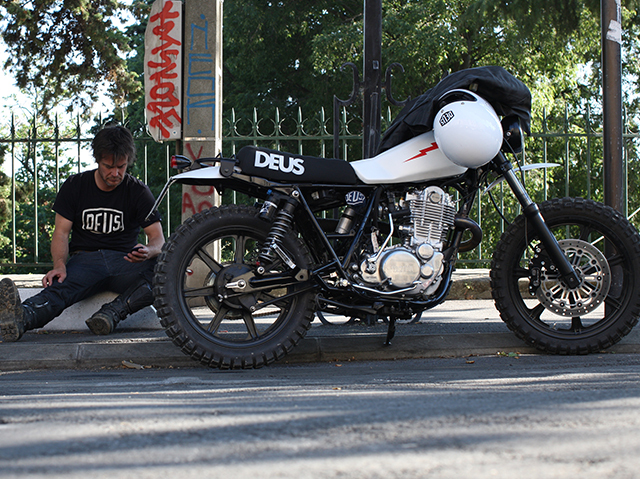 The Italian Deus crew have transformed the SR400 in a celebration of 35 years of the iconic machine. 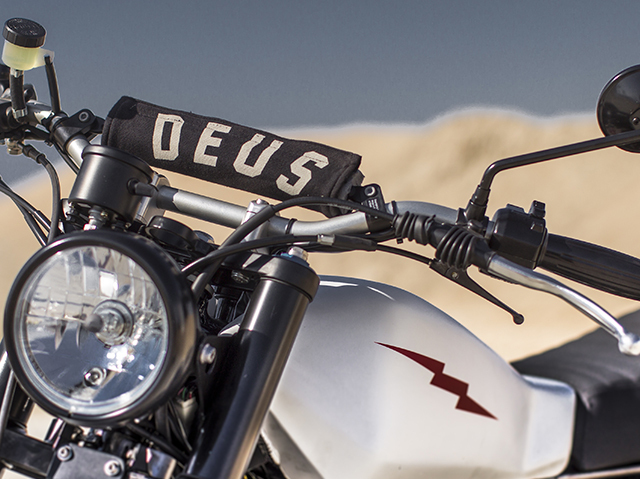 The Deus ‘Lightning’ is a stunning creation that embodies lightness and freedom, capturing everything the original machine stood for. 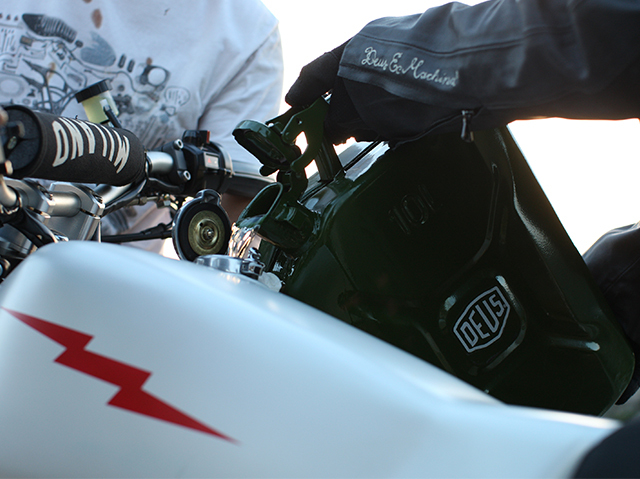 Stripping the SR400 back, Deus then built up using beautiful, hand crafted parts to celebrate the bike’s legacy. 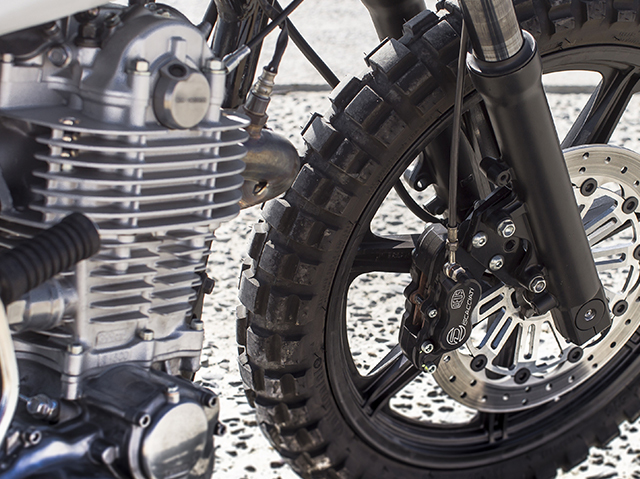 The rugged scrambler-styled machine is ready to tackle any adventure with its simple light design. 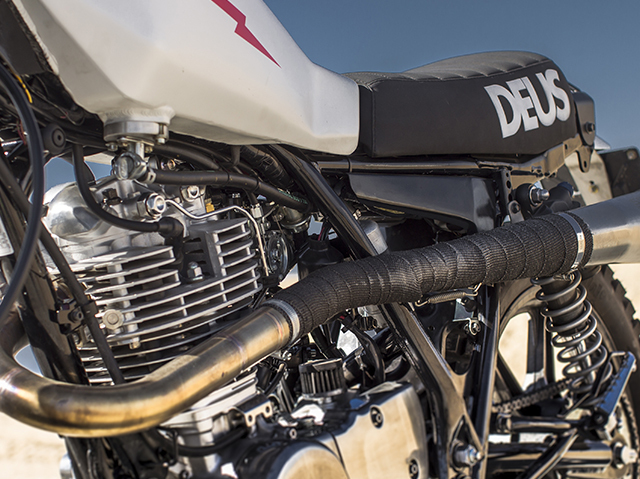 Deus created the character of the Lightning using a special aluminium crafted fuel tank with ‘Monza’ fuel cap, a FOX rear shock and custom CNC formed Triple Clamps. 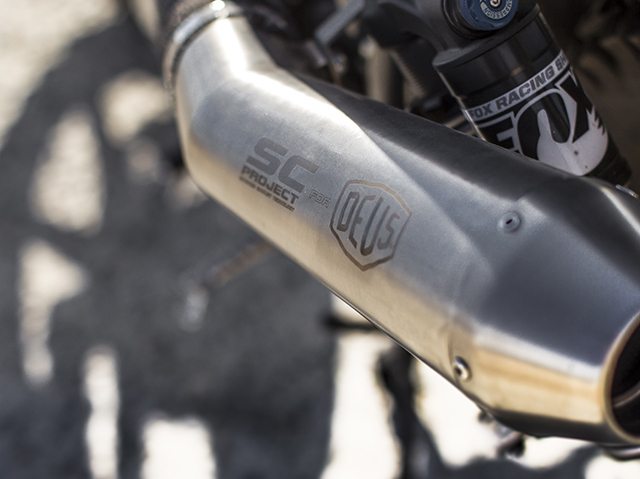 An Sc-Project exhaust and Sprint Filter cone system added the right sound whilst an MX handlebar and Six Days front headlamp set off the look. 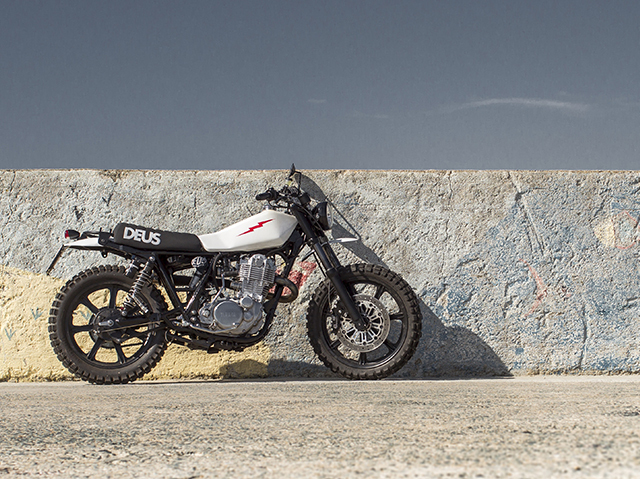 Having made the Lightning concept a reality, Deus have now created a second Yard Built SR400, the Deus 400. 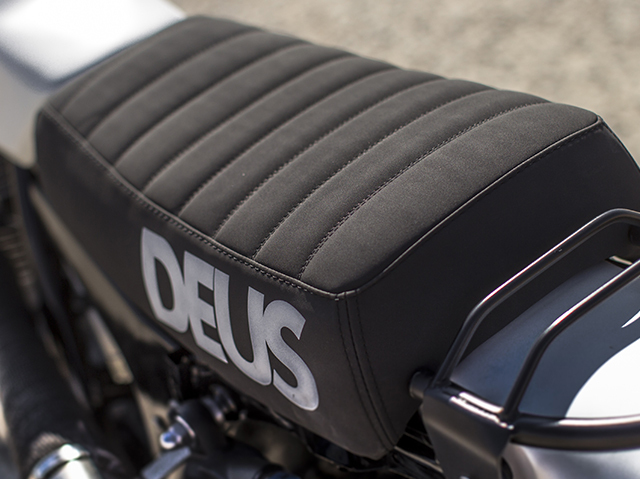 Born from the Lightning design, the Deus 400 is available as a complete kit for those who want their own Deus Yard Built SR400. The kit includes some beautifully constructed pieces including a handcrafted aluminium tank and ‘Monza’ cap, hand crafted front and rear fenders and a new analogic tachometer. 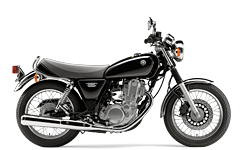 The kit also contains a cool suede seat and custom rear rack and the full Sc-Project exhaust. 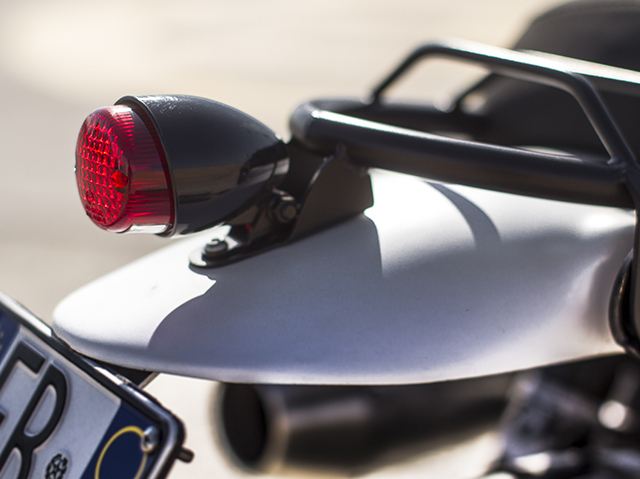 Modifiers can go the whole way with their custom build and also order the off-road handlebars, special front and rear lights and aluminium turn signals and number plate holder.